This show is simply awesome. From the brilliant mind of Joss Whedon, Firefly is a space western starring Nathan Fillion and a whole crew of other fantastic people. There is so much to love about this show, including it’s humor and action. With only 14 episodes and a feature-length film to wrap up the story, this is a perfect choice for a weekend binge session. 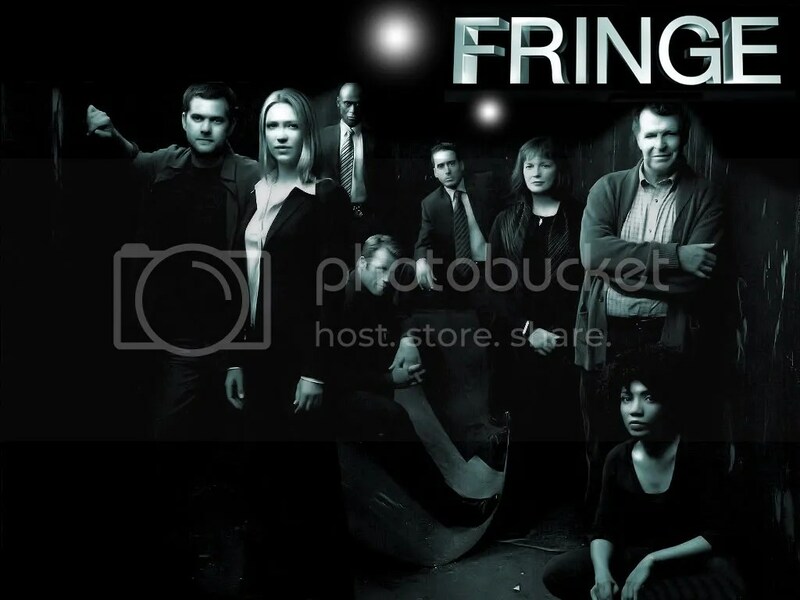 Fringe mixes the freaky and phenomenal together in a petri dish of science fiction goodness. At times terrifying and often heart-wrenching, this show is like the love-child of X-Files and some ivy league research scientist.The exceptional performances of the stellar cast stand out as a high point for the show, which is one of my very favorites. Fringe offers five seasons for your viewing pleasure. Eureka is a little gem from back in the day when Syfy was still Sci-Fi. The show is a dramedy about a town full of geniuses and their wacky science that always seems to go a bit awry. The audience has the opportunity to experience all the antics and mishaps from the perspective of the town’s sherrif, the one person in town who is not a genius but is tasked with keeping all the geniuses and their outrageous experiments in check. He rarely succeeds and much laughter ensues. Eureka offers five seasons of sci-fi wackiness. Wonderfalls is the first Bryan Fuller show to make this list (there are 3). This entry follows Jay, a 20-something college graduate who works as a clerk in a souvenir shop. She has no desire to follow in the footsteps of her family by being successful in any way. Jay is lazy, selfish, rude and snarky. Then inanimate objects shaped as animals begin talking to her. They force her to do things for others, make an effort and generally break her self-imposed policy of complete apathy for life and everyone around her. The result is wacky and hysterical. With the complete series being only 14 episodes, a hard-core binger could finish it up in a day. Fortunately, the end actually offers an end and viewers can walk away satisfied, if a bit sad that there isn’t more. The second Bryan Fuller entry on this list is the wonderfully morbid, yet super-cheery Pushing Daisies. The show tells the story of Ned, a humble pie-maker with the ability bring the dead back to life. However, Ned’s abilities come with stipulations, which create complications, which in turn makes for seriously funny television. The show’s first season was unfortunately cut short by the 2005 writer’s strike and the program never fully recovered. It ended after only two terrific seasons. The end of the second season left one major loose-end hanging, but managed to give some closure. A few reasons to watch this show: the amazing cast, the terrific narration, the occasional song and dance and a super-sweet, uber-chaste romance between the main character and his childhood sweetheart, a girl called Chuck. The only BBC program to make my top ten list of completed shows (since Doctor Who and Sherlock are still running), Robin Hood is the story we all know of the outlaw who robs from the rich to give to the poor. Except this time, he’s actually British. Honestly, this program doesn’t offer a whole lot that’s new. There are the usual twists and turns in the tale, but nothing shocking or inconsistent with what you’ve seen before and know of this story. However, this is, in my opinion, the best execution of the Robin Hood tale in recent memory. It’s well-produced, well-acted and seriously entertaining. It is also the perfect length at only three seasons. When the show ends, the story ends and the viewer feels that they have gotten all that they could out of the tale. No loose ends. No lingering questions. Just a neat little bow and another satisfied customer. Another Joss Whedon entry, Dollhouse stars Buffy alum Eliza Dushku and a house full of other oddly named, but terrific actors. It introduces us to a facility that houses human dolls and caters to very rich, very exclusive clientele. The dolls are human beings who have been emptied of their own personalities. They are filled up again with other personas then rented out to clients. For what? Oh, for everything! The show is shiny and beautiful and filled with action, intrigue and suspense. My favorite thing about it, though, besides getting to continually gaze at Dushku, is that it offers up some pretty deep questions about the nature of self and morality. After all, what is it that makes us ourselves? Is it our body, our memories, our personality? If you take away any of that, do we stop being ourselves? And if someone consents to have all that taken away, have they been murdered? Also, is super-scientific, super-enhanced prostitution still just basic prostitution? Or is it the next frontier? These questions and more are posed during the two exceptional seasons of this series. And not to worry. Joss learned his lesson with Firefly. This show has fast-forward endings built in, so viewers get the complete story and are not left wondering. The third and final Bryan Fuller contribution to the list is Dead Like Me. This comedy-drama follows young George, a girl walking along minding her own business when a toilet seat from the international space station kills her and she is thrown into a wacky afterlife as a grim reaper. The show is filled with dark humor and lots of existentialism. But it’s the fun kind of existentialism, so it’s not too heavy. The show ends without a real ending, but also without any cliffhanging or loose-ends, so it’s not so bad. Two seasons of this show aren’t quite enough. However, I don’t recommend the movie sequel. It was a valiant attempt to resurrect the series, but it fell flat and failed hard. Stick to the official episodes and remember it with love. Witches, warlocks and demons, oh my! 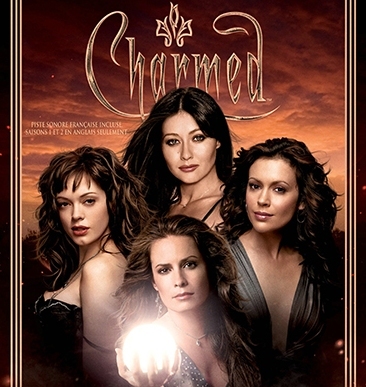 Charmed tells the story of three sisters who discover they are destined to be the most powerful good witches in history and defeat the forces of evil. They embrace their destiny and begin to battle the dark. During their journey, they experience deep love, profound loss and all the joy and pain life has to offer. They also manage to grow closer to each other, strengthen their power and look great while doing it. The show has eight seasons of 40-45 minute episodes. I recommend it only for those who have serious love for the Halliwell sisters, the power of three and/or wiccan t&a. Take Grey’s Anatomy, remove all the melodrama and tears, replace it with ridiculous daydreams and laughter, then cut each episode in half. The result would be Scrubs, which follows first-year intern J.D. and his friends as they struggle to become competent doctors and passable grown-up human beings. For eight years, this show provided one of the funniest half hours television could offer during a week. Then during the ninth year, it took a steaming crap on top of the legacy it had built. Regardless, the first eight seasons still stand as hilarious, ingenious comedy gold. It’s still worth watching… and watching again. Dark Angel has so much good! It offers two seasons filled with action, snarkiness and romance. However, the story is left hanging from a rather large cliff at the end. How much do I love this show? In addition to owning both seasons on DVD, I also have copies of the three fan-fiction novels that officially wrap up the story. Now that’s commitment. Reasons it didn’t make the official list: The non-ending and the dated feel of the show. The whole thing feels and sounds covered in a cloud of late-90’s/early-00’s cliches and speech. The show can only be enjoyed by those who remember that era fondly. Joan Osborne sings a song with lyrics that go, “What if God was one of us? Just a slob like one of us? Just a stranger on a bus trying to make his way home?” Joan of Arcadia takes these questions literally and turns them into the premise for this show about a girl, Joan, who is able to see God in different forms. God gives Joan tasks to do and she quickly learns that there are consequences to refusing Him/Her, though often, there are consequences to obeying as well. The drama is well-acted and has an interesting premise, but really, it’s about going through that time of life when we didn’t know who we were or even who we wanted to be. It’s about a teenage girl dealing with family, friends, school and romance and just trying to get through it all and make it to the other side of adolescence in one piece. Reasons it didn’t make the official list: The end of the second season introduces a new twisted element to Joan’s story, but there is no closure because there was never another season. Also, while some would find it interesting to consider God in the light of the show and others might enjoy the nostalgia of the coming-of-age story, others could easily find it to be simply slow and boring. More Eliza! I just love that woman (click here to find out 10 reasons why). Tru Calling was the show that Dushku chose to follow up her Buffy days instead of the Faith-based Buffy spin-off she was offered. We’ll never really know if she made the right choice. This show is a little known gem about Tru, a medical student working in a morgue who sees dead people wake up and ask for her help. Following the request, Tru’s day rewinds and she races to find the person who died and keep them from dying all over again. In addition to Dushku, the series stars a pre-Hangover Zach Galifianakis and a post-90210 Jason Priestly. Well-acted with an interesting premise, this show is another one I enjoy going back to regularly. Reasons it didn’t make the official list: Like the other honorable mentions, Tru Calling has two seasons with an unresolved cliff-hanger. Also, while it is an interesting idea, the show is a bit slow on the uptake. Unless someone already has a reason to watch–like, say, a massive crush on Eliza Dushku–I’m not convinced the show will really pull many people in. And that’s it, geeks! My top ten canceled and completed shows to binge-watch this summer… or any time. Do you agree with me? Do you love any of these shows? What did I miss? Let me know in the comments below. And if you try one of these series, come back and tell me what you thought of it. Need even more? I got you covered. Here is another list of shows to binge-watch. Seriously, I could do this all day! This entry was posted in T. Mack, Top 10 and tagged Binge-watch, Charmed, Dark Angel, Dead Like Me, Dollhouse, Eureka, Firefly, Fringe, Joan of Arcadia, Pushing Daisies, Robin Hood, Scrubs, T. Mack, Top 10, Tru Calling, TV, Wonderfalls. Bookmark the permalink. Great choices, I’m currently binge watching Charmed.